BBC World Service and Norwegian state broadcaster NRK are partnering to produce a podcast that investigates the mysterious death of a woman in Norway in the 1970s. Premiering on 16 April, 'Death in Ice Valley' will look into the story of the 'Isdal Woman', whose body was discovered in November 1970 in a remote spot in Norway's Isdalen Valley but whose identity remains unknown almost half a century later. NRK has been investigating the topic and publishing stories about it over the last two years. Last year, the World Service published an article summarising the broadcaster's findings, which gathered a lot of interest from readers, so the BBC thought about joining forces with NRK to explore the case as a podcast. The presenters of the series, NRK investigative reporter Marit Higraff and BBC radio documentary producer Neil McCarthy, have spent the last six months recording in the field in Norway and producing the episodes in a studio in London. They have been interviewing eyewitnesses Higraff had previously spoken to in her reporting, as well as specialists who can apply a new range of scientific methods to material evidence in order to uncover details that didn't come to light in 1970. Higraff and McCarthy are encouraging listeners to contribute through a dedicated Facebook group, which has so far gathered some 396 members who are discussing the investigation and sharing relevant material that could help shape the podcast, such as pictures of the spot in Norway where the woman's body was found. "It's sort of a 'then and now' story," McCarthy told journalism.co.uk. "We are about halfway through producing a series of 10 episodes and we don't want to get too far ahead of ourselves because when the series starts going out, we're hoping listeners will pitch in with suggestions and plausible leads that might lead to new doors opening for the investigation that we didn't expect." The collaborative podcast is an exciting way to dig deeper into the story, Higraff and McCarthy said, as each broadcaster brings their own skills and knowledge to the table: having extensively reported on the topic, NRK brings the background research on the case, while the BBC is contributing audio production skills and the extensive reach the World Service has. The two presenters also have backgrounds that "complement each other", McCarthy added, as he is more experienced in working with sound while Higraff approaches the story from an investigative journalism angle. However, neither of them have produced a podcast before, so working with the format has been one of the common challenges they've faced. "One of the challenges, for me, is that we've got a historical thread and we've got a current thread which is slowly unfolding, but we really don't know how it's going to end up. So it's both a challenge and an exciting aspect of it, and I'm looking forward to seeing whether the listeners can shape that final destination," McCarthy said. "When we started this investigation at NRK, we didn't know if we would ever be able to solve it and we still don't know," Higraff added, "so that's of course a challenge." "We started publishing more or less at the same time as we started investigating, because we wanted to take the viewers, listeners and readers along the way. "That has been an important part of the project for us, to try something new, as normally when we do investigations, we only start publishing once we have done all the interviews and gathered all the materials." 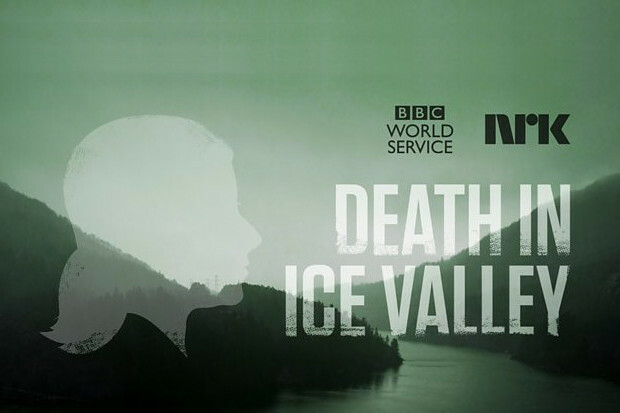 After experimenting with the length, the team decided the episodes of 'Death in Ice Valley' will be about 30 minutes long, the optimal length for people who listen to podcasts on their commute. A half-hour podcast episode also offers enough flexibility to tell the story and play with music, sounds and transitions, which "feels less hurried" than a radio programme would, added McCarthy. Higraff and McCarthy will continue to speak to key witnesses involved in the case to get to the bottom of the story. They are also looking outside of Norway and into Europe to investigate where the 'Isdal Woman' came from and where she grew up. Alongside the podcast, which will be available on iPlayer, the NRK website and iTunes, the team will also publish stories, documents, images and other material relevant to the case. "People are generally very interested in true crime stories and this is an exciting story. I hope they will want to follow along with us in this project and help reveal new clues to see if we can solve this mystery," Higraff said.